Eddy Kariti paints in oils because of the blending and manipulation of texture and color. 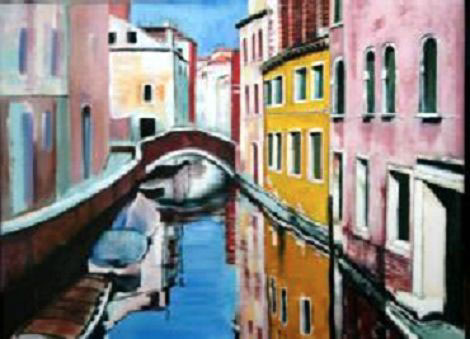 The oil can appear as vibrant as acrylic or as translucent as watercolor. It's a very versatile media. Kariti is not a representational artist. He is moved by the spirit of the subject and approaches it in a impressionistic style. Part of Eddy Kariti exhibition at the 2014 Upstream Gallery Hastings on Hudson, NY 2013 Blue Door Gallery Westchester, NY 2013 Washington Sq.